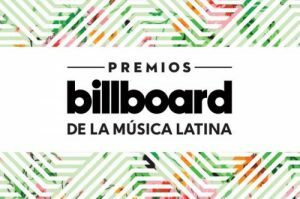 The nominations for the 2017 Billboard Latin Music Awards have been announced, and The Orchard’s 2016 release Todavía Me Amas: Lo Mejor de Aventura by the Latin music group Aventura has been nominated for Tropical Album of the Year! Not only that, but Aventura is also nominated for Tropical Albums Artist of the Year, Duo or Group and The Orchard’s own Premium Latin label is nominated for Tropical Albums Imprint of the Year as well. Aventura’s nominations can be attributed to the traction that the group re-gained during the 20 farewell shows which took place in February 2016 at the United Palace Theater in Washington Heights, New York. The group gained a strong following in Washington Heights early in their career due in part to the high Dominican Republic demographic that resides in this neighborhood. The community enjoys the smooth, tropical musical styling of bachata that Aventura is known for. Since the acquisition, the Special Products team has worked diligently to promote Aventura’s legacy and bring Pascal’s hopeful statement to life. The team’s consistent efforts have certainly been recognized in an extraordinary way. In the past year, our Latin releases have steadily remained in various categories within the Billboard charts, such as The Orchard artist Nicky Jam who has been nominated in his own respective categories including Artist of the Year and Hot Latin Songs Artist of the Year, Male. The Orchard will continue to strive for greatness and continued success going forward while expanding our efforts within all Latin categories. Take a look at the finalists in each category here. We wish all of the nominees the best of luck in their respective categories!